På begynnelsen av året fortate vi om den komemnde dokumentarfilmen om den engelske musikeren Ronnie Lanes liv. Nå nærmer filmen seg DVD-utgivelse. On 31 October, Eagle Rock Entertainment will release the documentary film »The Passing Show: The Life & Music of Ronnie Lane« on DVD. Additionally, Ronnie worked with Pete Townshend (The Who) on the album »Rough Mix«. 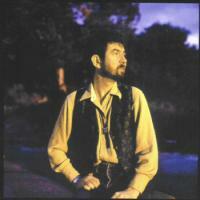 Ronnie Lane's Slim Chance supported Eric Clapton's 1977 UK tour. Eric appeared with Ronnie Lane and many others during a series of concerts (The A.R.M.S. Tour) in 1983 which raised funds for multiple sclerosis research. The DVD includes film of all these events. The film was shot on location in London, Wales, Texas, California, and Colorado, and features many of Lane's fellow musicians and friends including Pete Townshend, Eric Clapton, Kenney Jones, Ian McLagan, Glyn Johns and more. A staggering amount of rare live and television performances by Small Faces, The Faces, and various line-ups of Ronnie Lane & Slim Chance. * Acoustic performance of »Kushty Rye« by Henry McCullough. * Acoustic performances of »Ooh La La« and »Annie« by Jody Denberg & Rich Brotherton. * Acoustic performance of »The Poacher« by Steve Simpson & Charlie Hart.